The American Red Cross is hosting a blood drive at the Conant Community Health Center located at 5 Wally Kreuger Way in Bridgewater. Everyone that donates blood will receive 6 chocolate covered fruits from Edible Arrangements. To schedule an appointment to donate blood, please call 800.RED.CROSS or visit redcrossblood.org. The Massachusetts Department of Public Health (MDPH) announced today that EEE has been detected in mosquitoes collected from Bridgewater, Massachusetts. Bridgewater had 1 EEE virus positive mosquito sample identified on 7/29/11. Plymouth County Mosquito Control will be spraying 8/1-8/2 all parks and swamp land areas. Information about EEE and reports of EEE virus activity in Massachusetts during 2011 can be found on the MDPH website. Recorded information about EEE is also available by calling the MDPH Public Health Information Line at 1-866-MASS-WNV (1-866-627-7968). Please be aware all parks and fields in Bridgewater are closed at 6:30 pm per the Board of Health until further notice. Bridgewater Television is now offering live streaming and Video on Demand on its website at www.btvaccess.com . Click on the ‘Videos’ tab for town council meetings, Bridgewater news, and more! BTV is also offering useful resource on its Facebook page (BTV Access Corporation) and Twitter account (@bwtrtelevision) and invites you to join the discussion. Call the Circulation Desk for information or to make a reservation at 508-697-3331. There is an important, informational meeting on July 28th at 6:30 PM at the Memorial Building that the public is invited to attend. The owners of the 144-acre property off Cherry Street known as the Perkins Property (Map 67, Lot 3) notified the Town under MGL Ch. 61A of the intent to sell the property. At this informational meeting, Bridgewater's Preservation Planner/Grant Writer Jennifer Goldson will present information regarding the responsibility that boards/committees have in the town's consideration of this request. The meeting will be recorded and broadcast on BTV. The meeting is open to the public and all are welcome to attend. The Bridgewater Public Library will hold its “End of Summer Reading” Ice Cream Party and Bike Raffle on Thursday, August 11th at 2:00 p.m. Participants in the library’s Summer Reading Program, “One World, Many Stories”, are eligible to attend and to enter the bike raffle.At least one book must have been completed during the duration of the program.The winner of the “Guess How Many” contest will also be announced. Whoever comes closest to guessing the exact number of candy pieces in the jar will win the candy. Stop in the Children’s Room between now and August 11 to make your best guess.Registration is required and begins Monday, July 18th.To sign up, call 508-697-3331 or drop by the Children’s Room. The Summer Reading Bike Raffle and Ice Cream Party is sponsored by Estabrook & Chamberlain Insurance Agency of Bridgewater. “One World, Many Stories” is sponsored by your local library, the Massachusetts Library System, the Boston Bruins, and the Massachusetts Board of Library Commissioners. The AstroGeek, a.k.a. Stephen LaFlamme, will be at the Bridgewater Public Library on Tues., July 26th at 7 p.m. Mr. LaFlamme, a local amateur astronomer, will present a talk on backyard astronomy and share photos taken over the past 30 years. The American Red Cross is holding a blood drive here in Bridgewater. All of those who donate will receive a free carton of Friendly's ice cream. To schedule an appointment to give blood, please call 800-RED-CROSS or go to redcrossblood.org. The Trojan Summer Softball Camp is now accepting registrations for summer softball camp to be held July 18-21 at the B-R varsity field. The camp is open to girls entering grades 6-9 and will include instruction in offense, defense and game play situations. B-R head coach Mike Carrozza is the summer camp director and can be reached at 508-648-2521 or email lcarro55@aol.com for registration information. Bridgewater Recreation is pleased to again be offering its Junior Archery Program in conjunction with Ace Archers. The program offers instruction to children eight years old and up, and is run by a nationally certified Level III instructor and Win & Win Master Coach. 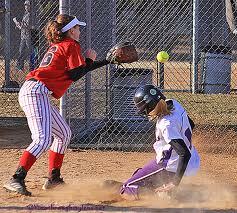 Students advance at their own pace; practice and instruction is given for all levels. The five-day program emphasizes safety while teaching good archery form and technique. Archery is an activity that provides exercise, improves math skills, teaches etiquette, requires focus, reduces stress, and is FUN! The clinic will run for two hours each day in the lower field at Scotland Field. Class will be cancelled in case of inclement weather, and will be rescheduled. The cost is $100.00 per participant ($125 after August 10th) and includes the use of all needed equipment. Due to safety concerns, class size is limited to 20 participants. Registration forms are available online by clicking here or at the Recreation Office, 90 Cottage Street, Bridgewater. Bridgewater Recreation started offering the Archery program several years ago as an alternative to the more common team sports. In addition to participating in a sport, the benefits of participating in archery include mental focus, self-discipline, and social interaction. The program gives returning children a chance to develop and improve their skill while beginners have the fun of learning a new sport. The great thing about archery is that you can progress at your own rate. Archery provides a unique sport experience complete with exercise, mental control, and social interaction. The Bridgewater Public Library is offering a Story Hour and Crafts program on Wednesday, July 27th at 11 a.m. Children ages 3-7 are invited to participate. Space is limited and registration is required. Sign up begins on Thursday, July 14th. Children are invited to join the "Warm Cookies and Milk" class from Stonehill College's PCC (Project Contemporary Competitiveness) program for stories and crafts activities based on the "One World, Many Stories" Summer Reading theme. The PCC program is a partnership between Stonehill College and twenty local school districts. The six-week program is designed to give ninth and tenth grade students a chance to explore subjects not usually offered in high school. To register for the Story Hour, drop by the Children's Room at the Bridgewater Public Library or call the library at 508-697-3331 during regular library hours. Library hours are Monday4-8 p.m.; Tuesday 1-8 p.m.; Wednesday 10 a.m. - 5 p.m. and Thursday 9 a.m. - 5 p.m. Here is a message from resident Keith Buohl about his efforts in Running for the Twins VII. I am again reaching out to my family, friends and the Bridgewater community for your support in the seventh and final Running for the Twins campaign. My wife Carol, daughters Courtney and Kylie, and I continue our efforts in raising funds to assist the family of Alexia and Kailyn DeBoe as they battle the rare disease Thalassemia, a blood disorder affecting the body’s ability to produce hemoglobin. What started as a kitchen table conversation seven years ago on how to help the DeBoe family, has turned into seven years of overwhelming love, generosity and support. Running for the Twins VII will be the finale of this testament to the human spirit. To all those who have opened their hearts and been so generous during this journey, we say thank you and God bless you. Special thanks to Joanne and Scott Thorud, who will be running the Falmouth Road Race with me this year for the fourth time, for their generous gifts of time and fundraising efforts over the years. The twins must continue to receive monthly blood transfusions to fight the effects of this life threatening disease. Unfortunately, these transfusions continue to be only a treatment, not a cure. They still have to take medicine daily to remove the excess iron in their blood caused by the transfusions and this medicine must be modified constantly to remain effective. The funds we have raised help offset these rising costs and will also be used when a cure is found. The twins continue to live life to its fullest: they dance, play soccer and both are cheerleaders. The DeBoes continue to battle this terrible disease and hope and pray that research will someday soon produce a cure. If you would like to offer support and sponsor us in our “Running for the Twins VII” race, please send a donation in care of me at the address listed below. Any donation large or small would be greatly appreciated. Checks should be made payable to the Alexia & Kailyn DeBoe Family Fund. Every dollar donated goes directly to the family to help offset medical related expenses not covered by their health insurance; my team and I absorb all the costs associated with the race and fundraising efforts. Please feel free to share this email with any family, friends and neighbors. With economic times the way they are, we are trying to raise support from all over to continue our fight. We realize there are many worthwhile causes as well as the tough economic times we are all facing, so please do not feel obligated in any way. What I will ask is that you continue to keep Alexia and Kailyn and their family in your prayers. Thank you so much from the bottom of our hearts. Around the Common would like to welcome our newest Bridgewater Business Listing! 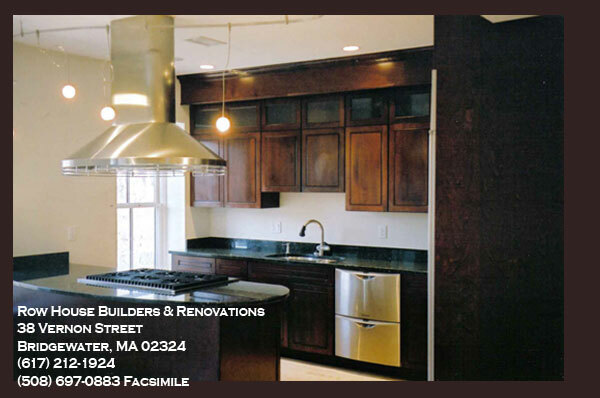 Row House Builders & Renovations is owned and operated in Bridgewater by resident Mark Trombley. Row House Builders offers a wide range of renovation and restoration services. Their scope of work has been as large as complete renovations and as small as bathroom renovations. They employ finish carpenters, apprentices and laborers. Row House Builders & Renovations has worked throughout Boston and are experienced with the challenges that come with working in the city on Historic Brownstones. Their skills are not limited to historic buildings as they also work in suburban neighborhoods on single and multi-family homes. Row House Builders & Renovations has long-standing relationships with sub-contractors which makes for a good working environment and productivity. They always maintain a clean and safe jobsite and go the extra length to maintain good relations with neighbors. The company is licensed, insured and bonded. If you need renovation work done in your Bridgewater home or business, please give Mark and the staff at Row House Builders & Renovations a call today at 617-212-1924 or fill out their contact form by clicking here. The Children's Room of the Bridgewater Public Library will offer a music themed program on Thursday, July 28th. Local resident and music educator, Kerry Campbell, will present "Exploring Music." The program, which is scheduled for 10 - 10:45 a.m., is for children ages 2-6, who are accompanied by an adult. Registration is required and will begin on Monday, July 11th. Call Mrs. Davis in the Children's Room at 508-697-3331 or come into the library. No email registrations will be accepted. The Town of Bridgewater Department of Veterans Services has received several complaints from residents who have received telephone calls from groups that are not legitimate. They are soliciting donations and are not a registered organization in the Commonwealth of Massachusetts. You will not receive telephone solicitations from federally charters veterans organizations such as the American Legion, Veterans of Foreign wars, American Veterans (AMVETS) or the Disabled American Veterans (DAV). The best course of action is to ask the call from something to be sent to you in the mail. If you do receive a suspicious call, please call the Bridgewater Police Department at 508-697-6118. The Town of Bridgewater is seeking a qualified and motivated individual to fill the part-time position of Parking Enforcement Officer. Appointed by the Town Manager and serving under the direction of the Chief of Police, the Parking Enforcement Officer is responsible for enforcing statutory and/or ordinance related parking violations and providing parking related information to the general public. 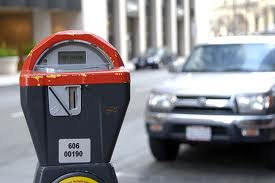 Under supervision and instruction, the Parking Enforcement Officer may tag illegally parked cars on overtime meters and in restricted areas; patrols assigned areas such as parking lots and sections of the municipality; may chalk tires in unmetered areas and recheck to ticket overtime violators. The position requires an associate of arts degree in law enforcement or an equivalent combination of education and experience from which comparable knowledge and abilities can be acquired. One-year law enforcement experience or an equivalent combination of experience and training is necessary. Starting salary is $18.87 per hour. The Bridgewater Board of Library Trustees has a vacancy and is seeking applicants to fill the opening. To apply, you can send a letter of interest and a resume to Judith Gabriel and Sean Daley at sdaley@bridgewaterma.org by July 15, 2011. Interviews will be held on July 20th in the evening. The Board of Health is pleased to inform you that effective May 1, 2011, they have instituted a Sharps Disposal Program for town employees and residents of the town of Bridgewater. Monday - Thursday from 9 a.m. to 4 p.m.
All syringes must be dropped off in a sharps disposal container or a plastic laundry detergent bottle with a cap. If you have any questions, please call the Board of Health office at 508-697-0903. The Bridgewater Public Library is now offering a scrapbooking program to children ages 8 - 12. The event will be held on Wednesday, July 27th at 2:00 p.m. Participants will be making Lunch Bag Mini-Albums and should bring 6 - 8 photos. Registration is required for this event and will begin on Monday, July 11th. To register, drop by the Library or call the Children's Room at 508-697-3331. This program is funded by the Friends of the Bridgewater Public Libary. The Bridgewater Public Library recently acquired the Plimoth Plantation Family Library Pass, which includes reduced admission for two adults and two children. With the library pass visitors receive reduced admission to the Wampanoag Homesite, 17th Century English Village, Mayflower II, Craft Center and Nye Barn. Plimoth Plantation is open daily, March through November. In addition, the library has passes for the Mass Park program (free parking), the Mystic Aquarium in Connecticut, and the Museum of Science in Boston. Reservations are encouraged. For more information about the Bridgewater Public Library's museum pass program or to reserve the Plimoth Plantation Pass, please call the library at 508-697-3331. The library is open Monday 4-8, Tuesday 1-8, Wednesday 10-6 and Thursday 9-5. Happy 4th of July from Around the Common. We hope you have a great day with family and friends. All Sessions, Classes, and Events, and Rose Quartz Stones or Jewelry Items are 10% off to celebrate our 4th Year Anniversary and Love Read Sessions. Call us today to book a session or register for an event. Wednesday, July 13, 2011 – Paranormal Development Group – 7:00 to 9:00pm - Join in a night of paranormal discussion. A new topic or exercise will be discussed each month. New students are welcome at any time. Lead by Lauren Bortolami, Reiki Master/Teacher, Spirit Medium, and Paranormal Consultant. The cost is $20.00 per person. The Reiki Shoppe is located at 63 Main Street, The Waterbridge Bldg., Bridgewater, MA 02324. Call 508-577-8513 to Register. Friday, July 15, 2011 - Love Read Night – 6:00 to 8:00 pm - An introduction to Love Read Sessions. Learn about the man or woman in your life through spiritual and psychic connections by a trained practitioner. Cost is $22.50 for 15 Minutes . The Reiki Shoppe is located at 63 Main Street, The Waterbridge Bldg., Bridgewater, MA 02324. Call 508-577-8513 to Book your Session. Tuesday, July 19, 2011 – Spiritual Development Group – 7:00 to 9:00pm – Join in a night of psychic/spiritual development. A new topic and exercise will be discussed each month. New students are welcome at any time. Lead by Lauren Bortolami, Reiki Master/Teacher and Spirit Medium – The cost is $20 per person. The Reiki Shoppe is located at 63 Main Street, The Waterbridge Bldg., Bridgewater, MA 02324. Call 508-577-8513 to Register. Friday, July 22, 2011 – Debbie's Tanning – 7:00 to 10:00pm - Messages or Healing as well as Pampering - at Debbie's Tanning Salon. Each guest will receive a mini Angel/Spiritual Session or Reiki Treatment as well as Tanning, so warm your heart and your soul. Tickets are $40.00 per person and are sold at Debbie's Tanning Salon, 134 Broad Street, Bridgewater, MA - 508-697-9401. Tuesday, July 27, 2011– Reiki I Class - 6:00 to 9:00pm – This is the first half of a full Reiki I Class – Learn the art of Reiki a non-denominational Japanese Hands-On Healing Art for healing yourself and others naturally. Lead by Lauren Bortolami, Reiki Master/Teacher with over 20 years of experience. The cost is $150.00 for the entire class (split into two evenings). The Reiki Shoppe is located at 63 Main Street, The Waterbridge Bldg., Bridgewater, MA 02324. Call 508-577-8513 to Register. Wednesday, July 28th – Reiki I Class – 6:00 to 9:00pm – This is the second half of a full Reiki I Class - Learn the art of Reiki a non-denominational Japanese Hands-On Healing Art for healing yourself and others naturally. Lead by Lauren Bortolami, Reiki Master/Teacher with over 20 years of experience. The cost is $150.00 for the entire class (split into two evenings). The Reiki Shoppe is located at 63 Main Street, The Waterbridge Bldg., Bridgewater, MA 02324. Call 508-577-8513 to Register. Make sure you visit Bridgewater Art & Custom Framing right in Central Square this 4th of July. Try your hand at winning prizes, coupons and more in the Chicken Machine! 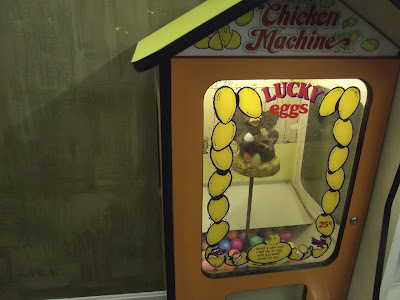 Just insert a quarter and watch the chicken lay a fun-filled prize egg! 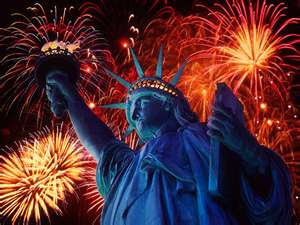 Bridgewater Art & Custom Framing will be open on the 4th from 9AM to 12PM. Stop by to check out their new exhibition, sign up for summer art camp or just to cool off!